Horse Sheds from Sunrise BuildingsThis building can be used as a universal shed. 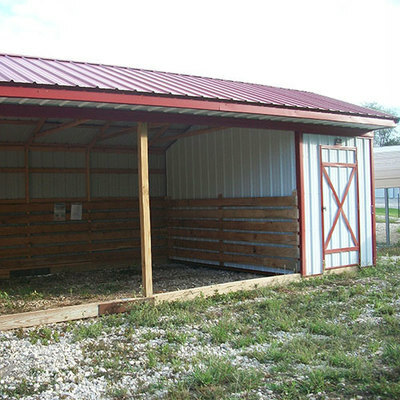 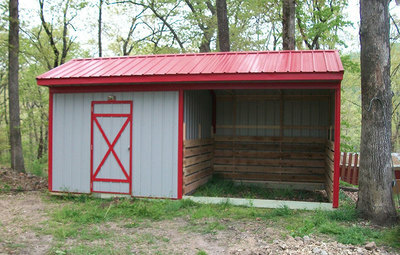 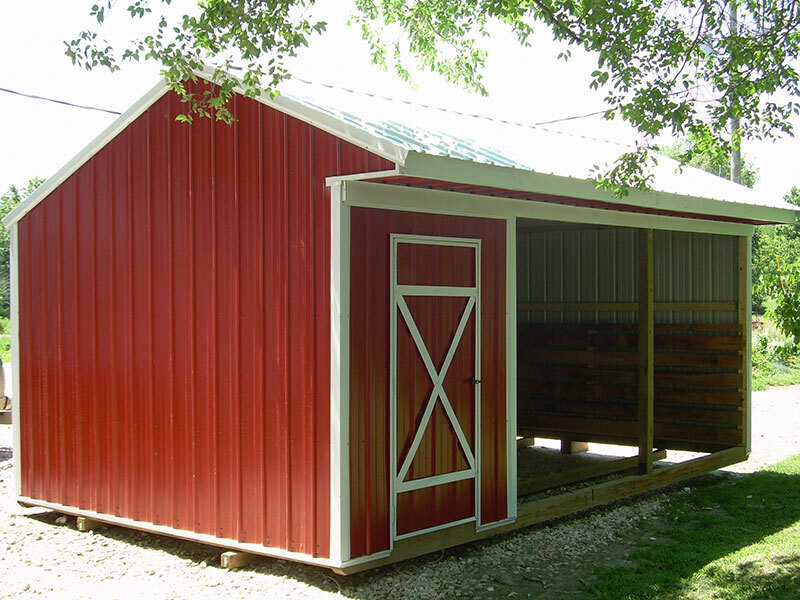 Although called a Horse Shed, it can also be used for small equipment or other animals. 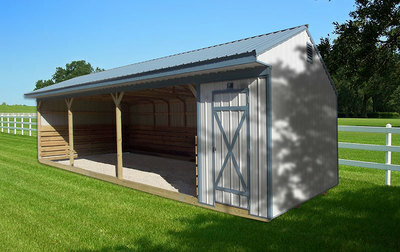 This simple structure can be modified in so many ways to fit your needs. 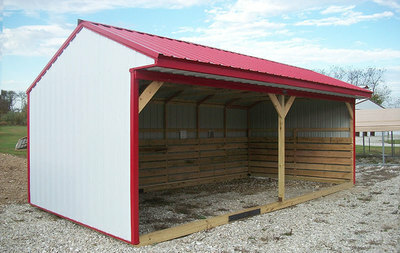 Available in 10, 12, and 14 ft. wide and up to 40 ft. long. 2×4 construction with side nailers notched into the studs for more floor space and a more professional look. 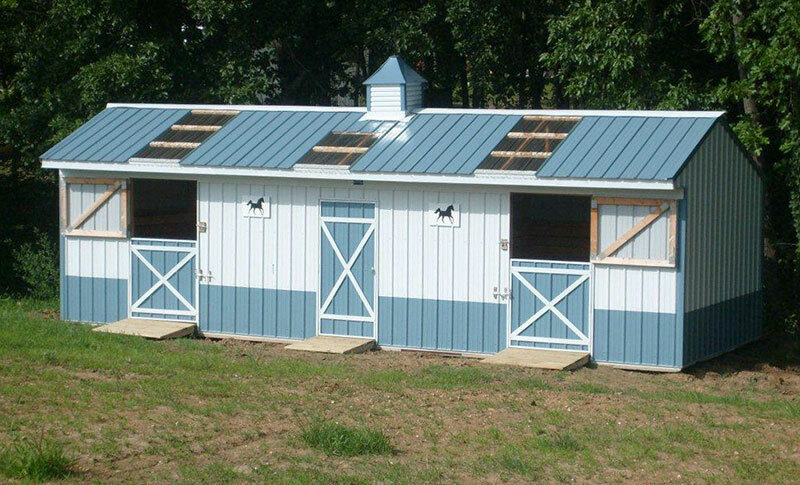 Studs and Rafters are all plated together with steel plates for strength and a more professional look. 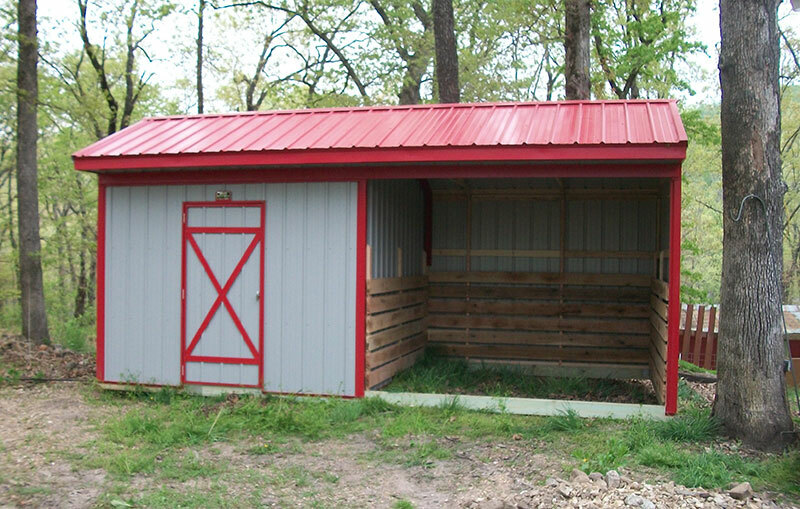 Lined with oak kick boards for livestock protection. 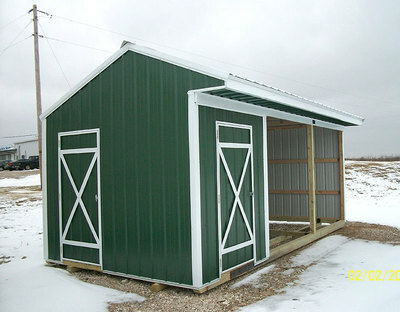 Has a 1 ft. 6 in. 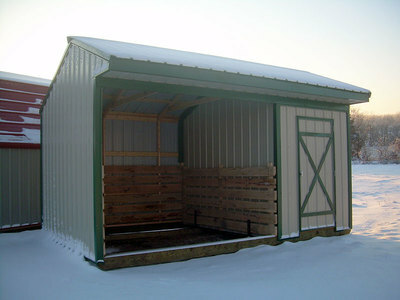 boxed eave soffit on the side to divert the elements away.